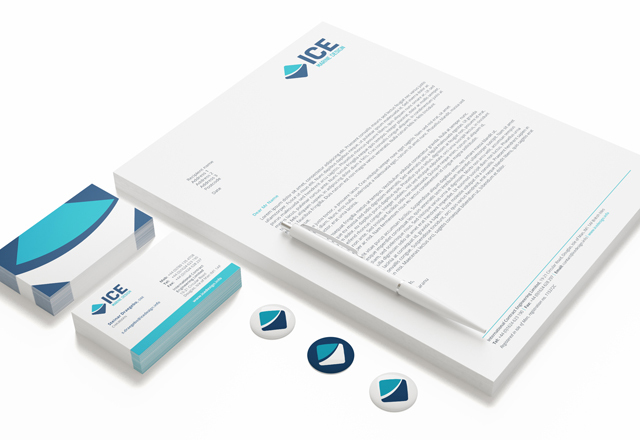 Designing a new, fresh visual identity for rebranded marine engineering consultancy ICE. 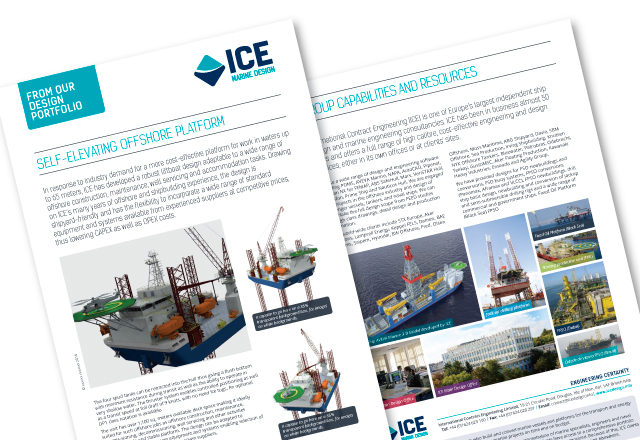 We worked together with PR Agency Emmett & Smith on the rebrand, when International Contract Engineering became ICE and needed an impactful, fresh look to communicate their position in the market. We re-drew and simplified the icon in the original logotype and added a more pronounced ‘horizon’ within the icon, dividing the sea from the sky. The typography in the new logotype is fresh, clean and robust and the colours clearly communicates the marine sector whilst looking professional and friendly. 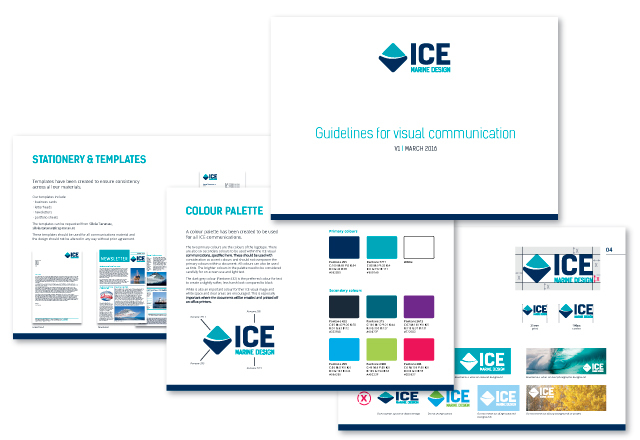 Once the new look was finalised we created guidelines for the identity including a new colour palette and typeface usage. We also designed stationery and newsletter templates for the group of companies.